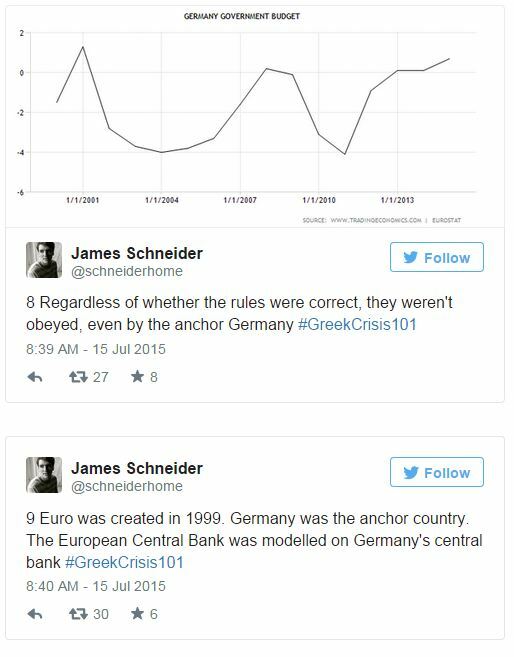 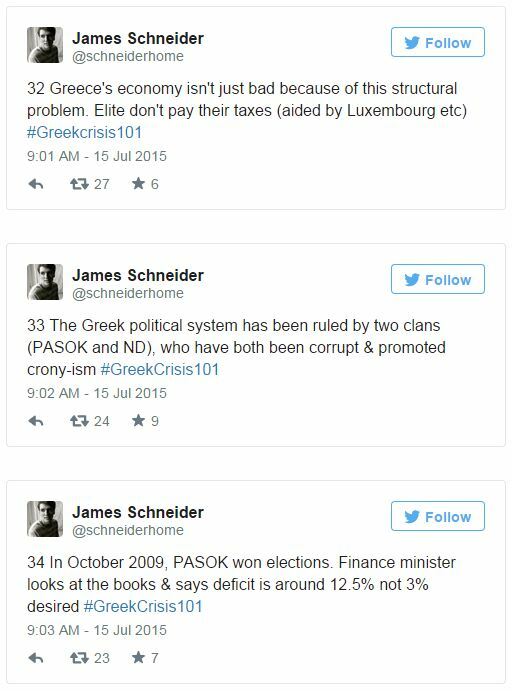 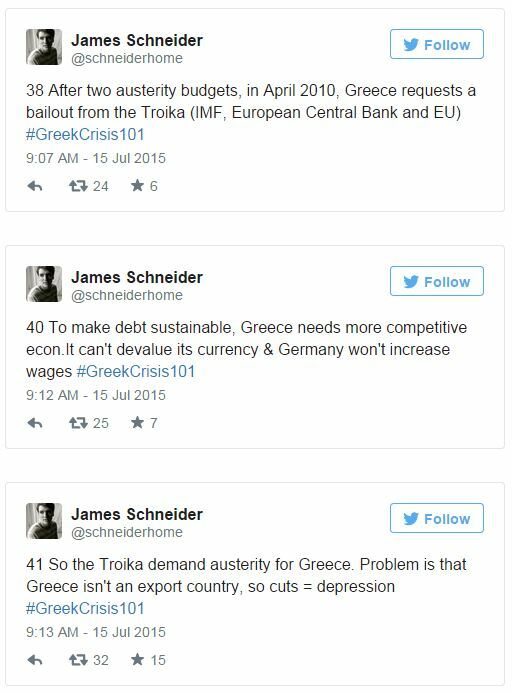 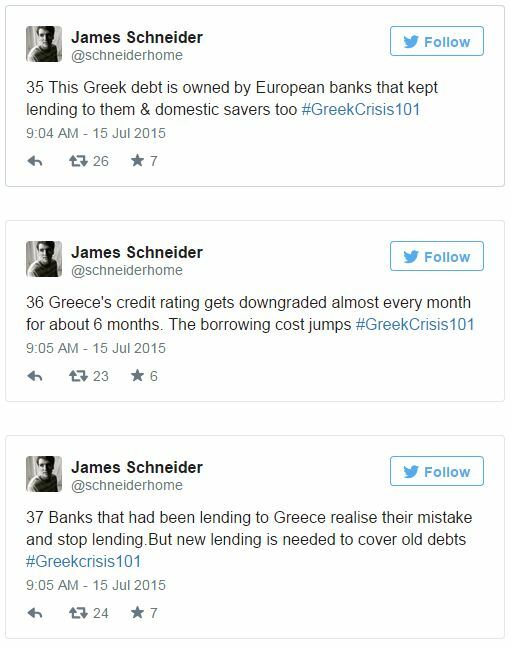 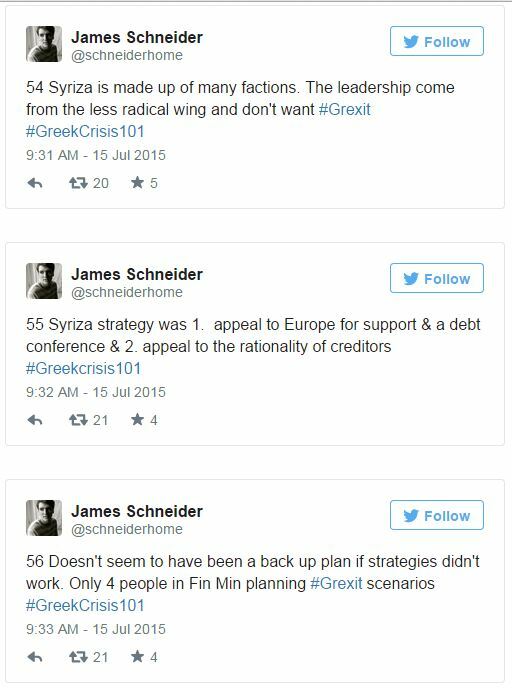 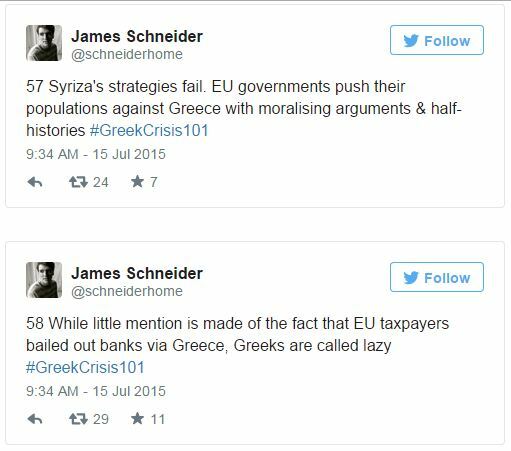 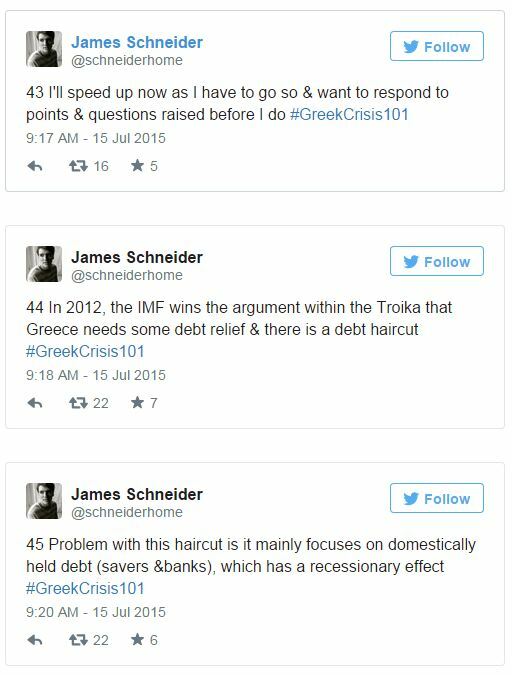 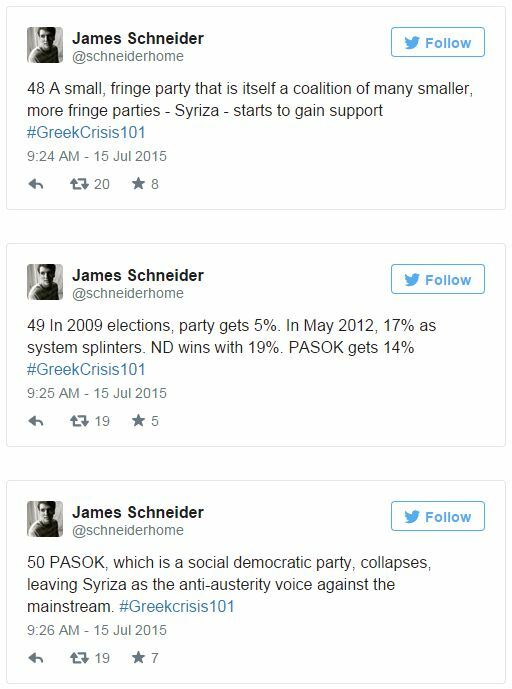 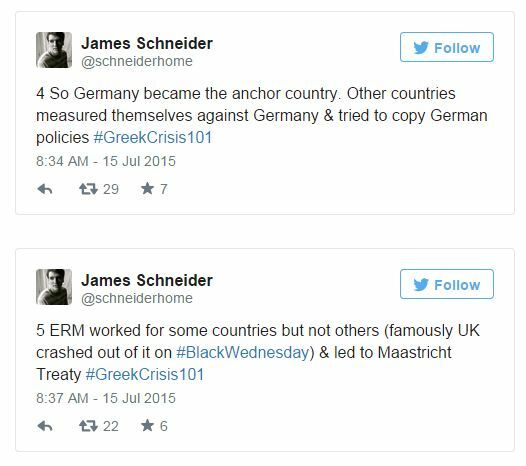 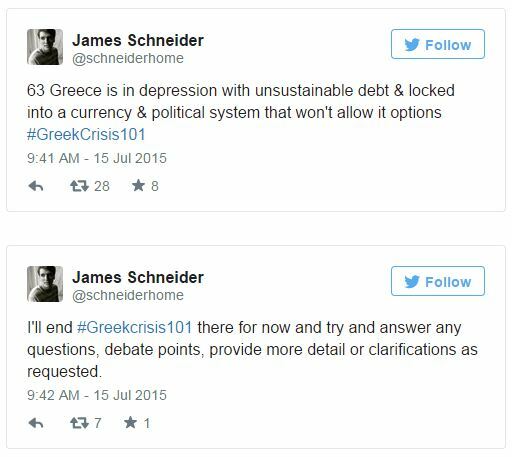 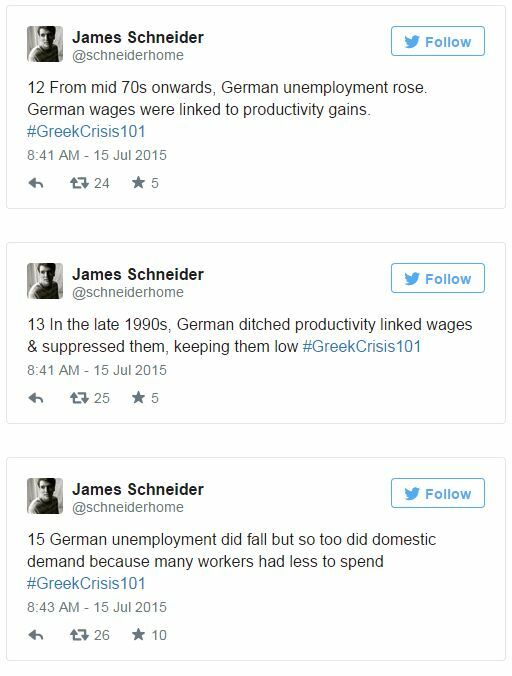 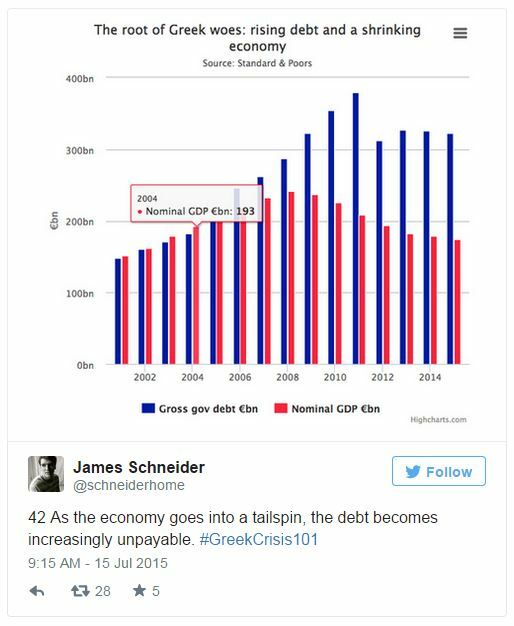 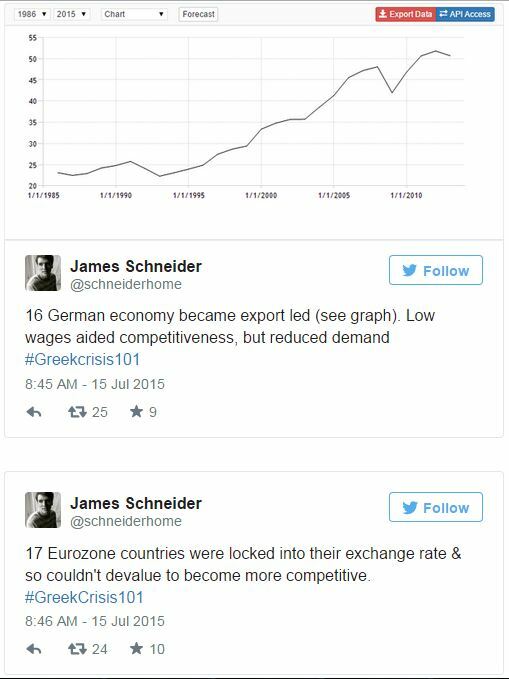 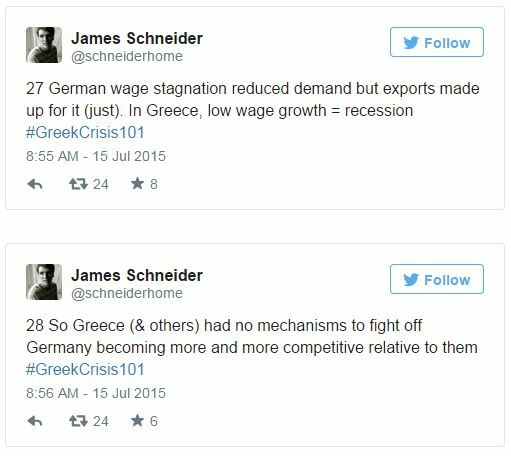 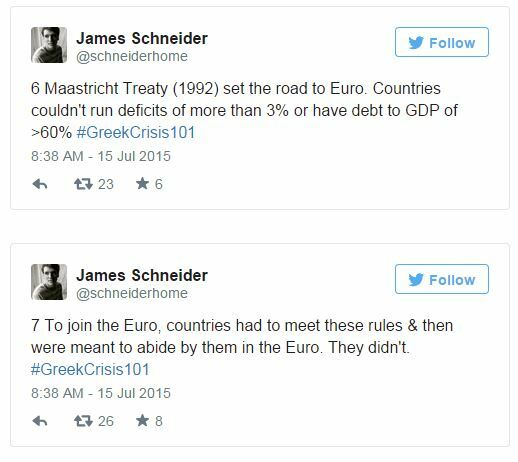 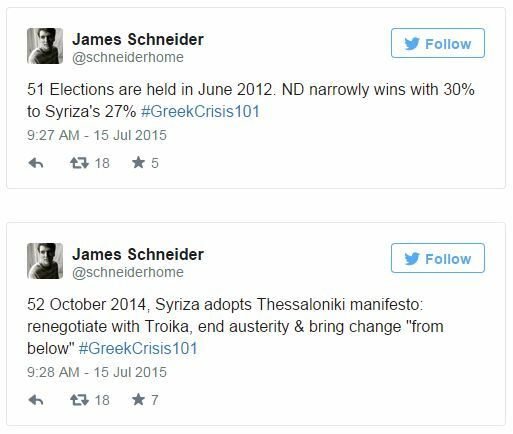 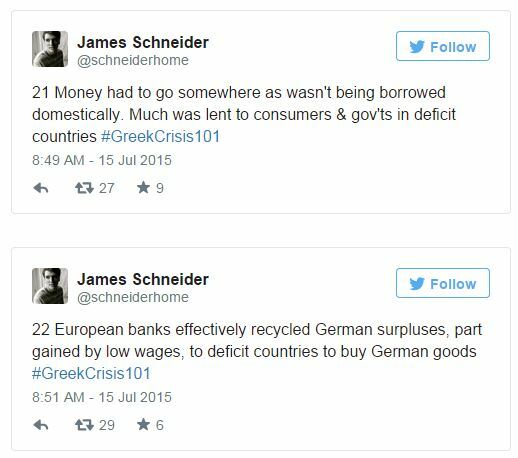 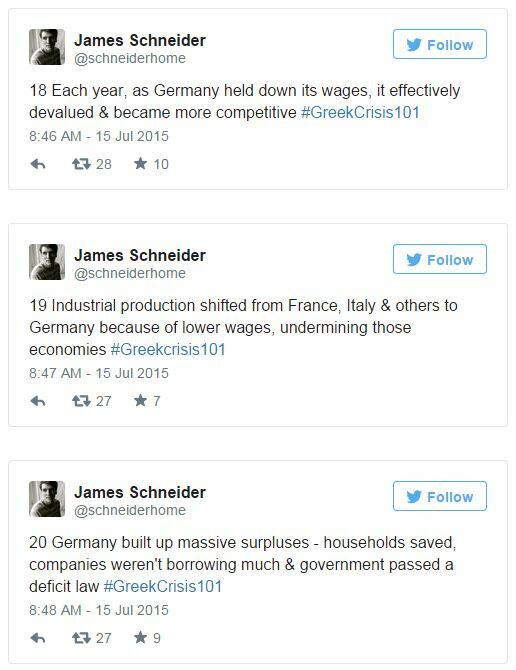 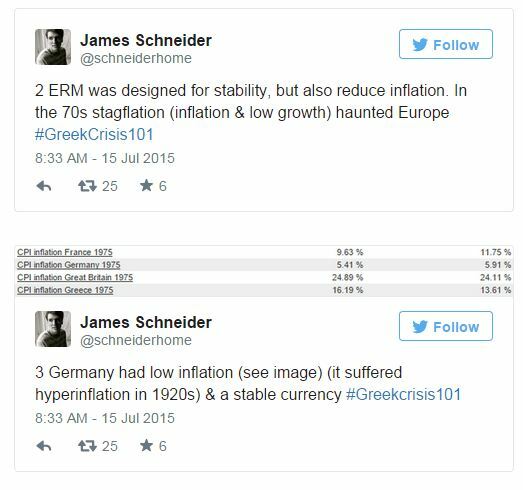 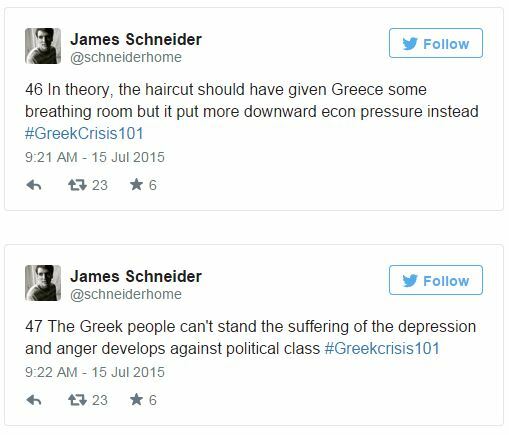 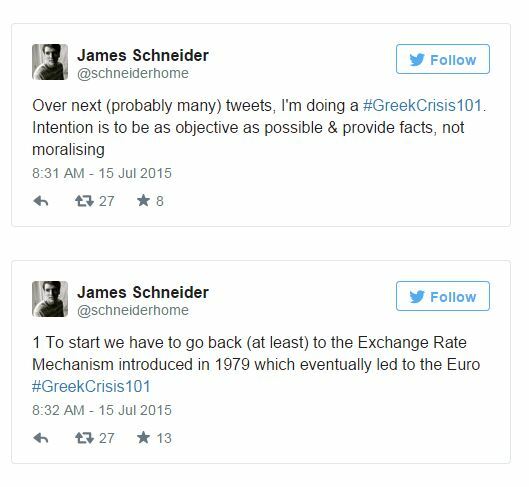 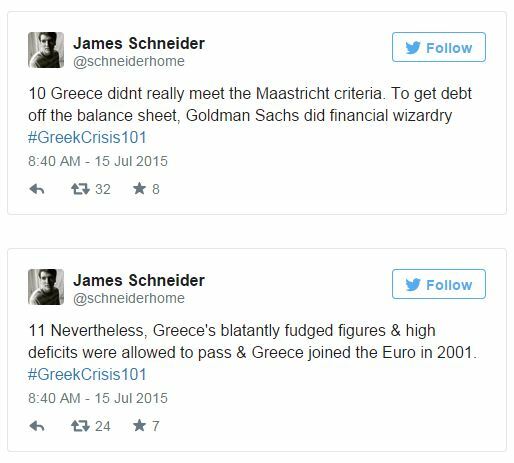 A couple of days ago, a gentleman, James Schneider (@schneiderhome) did a very informative series of tweets on the ongoing Greek crisis. 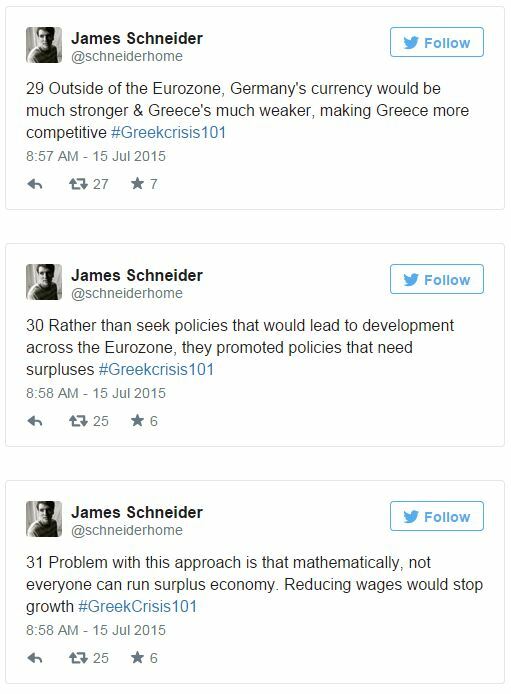 I squished it all up into a storify article which unfortunately I can’t embed here since WordPress won’t let me be great. 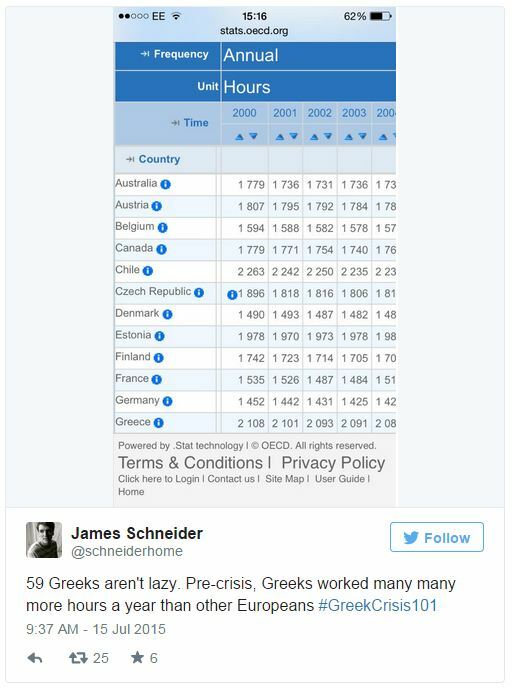 Anyhow I found a time consuming and clumsy workaround so you can view the story below or follow the link. 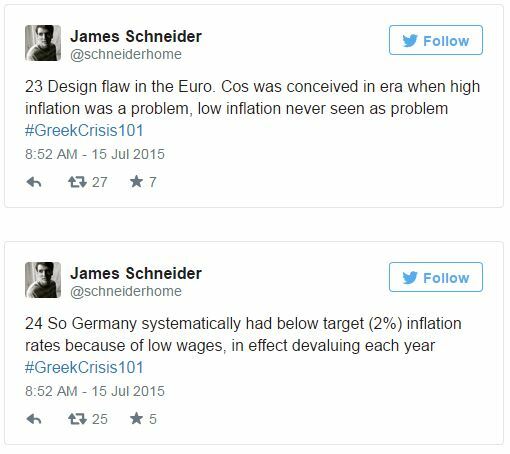 ← Blitz Series: What is the Solar Impulse 2?